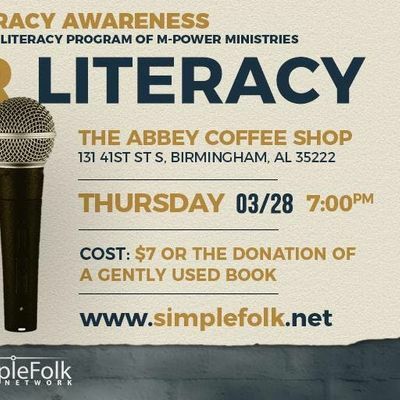 SimpleFolk Network presents Lyrics For Literacy, a poetry night experience for the benefit of the Literacy Program of M-Power Ministries. Three Spoken Word artists, Lyssa Lou, Glenn Urbz, and Lyricalforte will take the stage for an evening of inspiring and soulful spoken word performances. 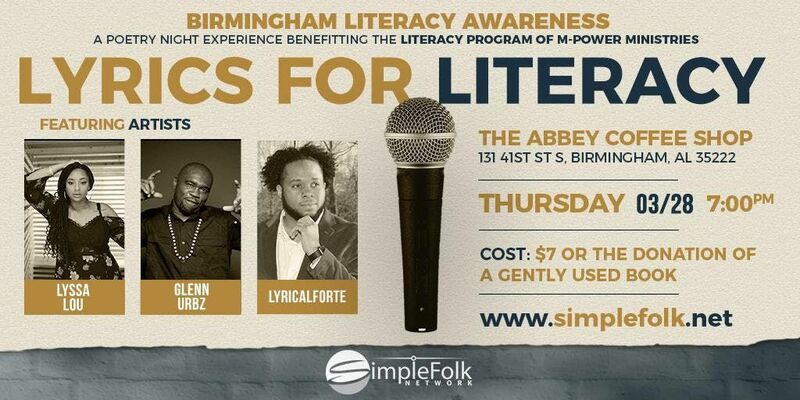 Come out and join us to have a great time and support a good cause, Birmingham Literacy Awareness. Tickets are $7 or a donation of a new or gently used book — $10 at the door for guests without a ticket.